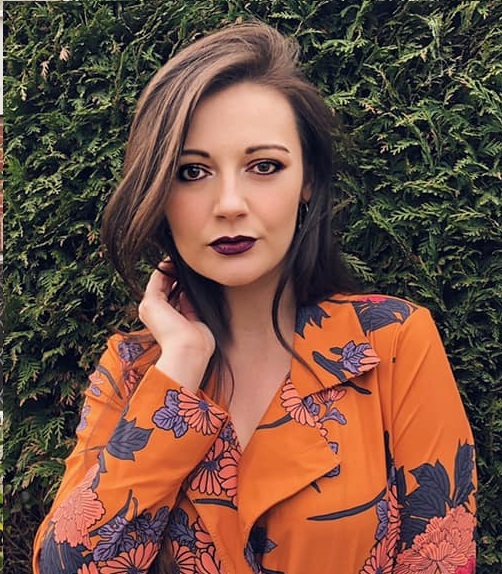 Hello everyone, I'm Chloe from www.chloelouisa.co.uk. Today Courtney has given me the opportunity to guest blog on her blog which I am very grateful for, so thank you! 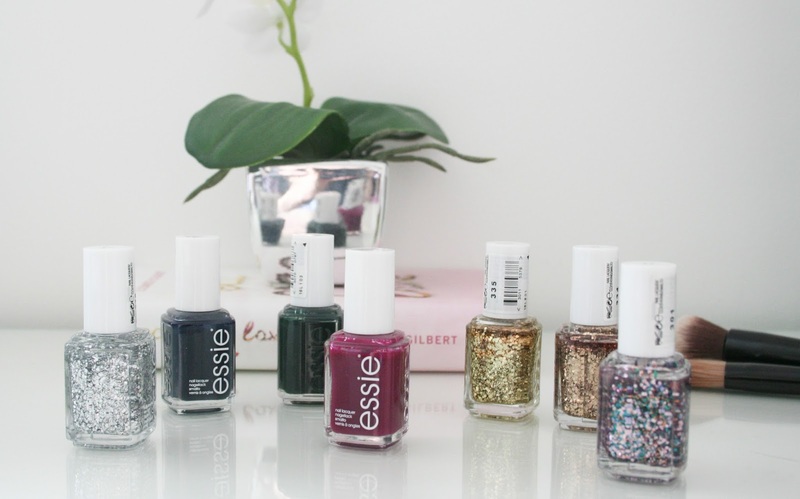 Today' post is going to be on some of my favourite Essie nail polishes that are perfect for Autumn and Winter. 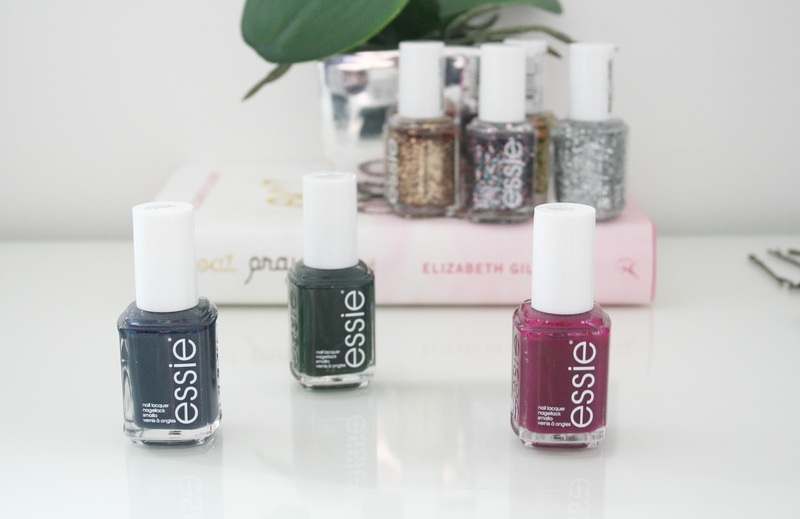 If you read my blog then you will know that I am obsessed with Essie nail polishes and 90% of the time the nail polish colour I am wearing will be from them. Their formulas are long lasting and the range of colours is amazing, so you will definitely find a colour that you love. Bahama Mama is one of my favourite and was probably one of my most worn shades last winter. It is a gorgeous dark plum shade that looks great on its own and with a glitter over the top for an accent nail. For more of a grey toned blue colour, I love reaching for is Bobbing for Baubles as it is such a unique colour. It looks really grey in the bottle but as soon as it is applied to the nails you can definitely notice the blue tone to it. Again this looks great alone or paired with a glitter polish. The final colour that I reach for a lot in the winter is Stylenomics. This is a super dark green that in some lights even looks black, but in others it is very green. I love glitter nail polishes (apart from the removal of them, that is no fun) and I feel like if there is one time of year that you can get away with glitters it is in the winter months, especially in the run up to Christmas. 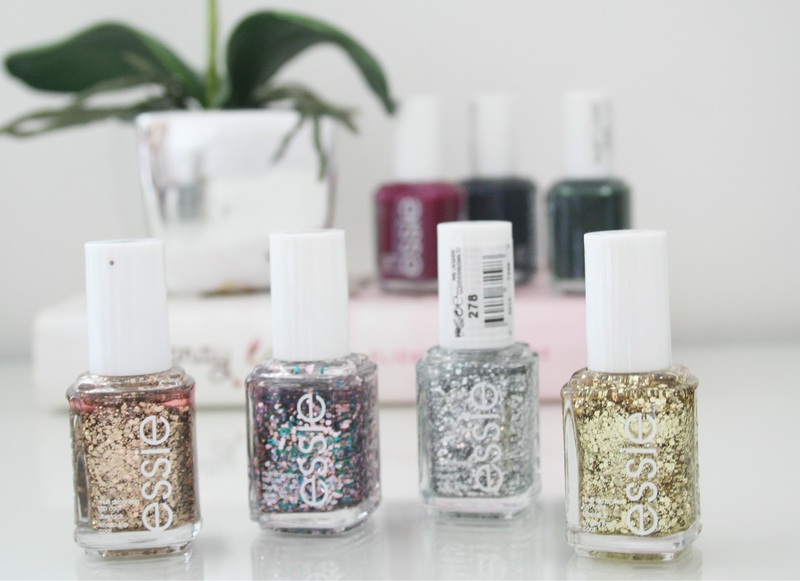 Essie do some of my favourite glitters, my favourites being Rock at the Top and Summit of Style. These glitters are not like any other glitters I own as they do not contain pieces of glitter that are all the same size, but instead there is a range of smaller and bigger pieces of glitter which look amazing on the nail, especially as an accent nail. Summit of Style is a little rose gold, where as Rock at the Top is more of a yellow gold. The other two glitters that I love are Jazzy Jubilant and Set in Stones. Jazzy Jubilant is a glitter that I love pairing with Bahama Mama as the different coloured glitter compliments the shade perfectly. Set in Stones is similar to Rock at the Top and Summit of Style in terms of how there are different sized particles of glitter but it is just a silver glitter instead. I hope you enjoyed this post, and thank you again to Courtney for letting me guest post on her blog. What are your favourite Autumn and Winter nail polish colours.